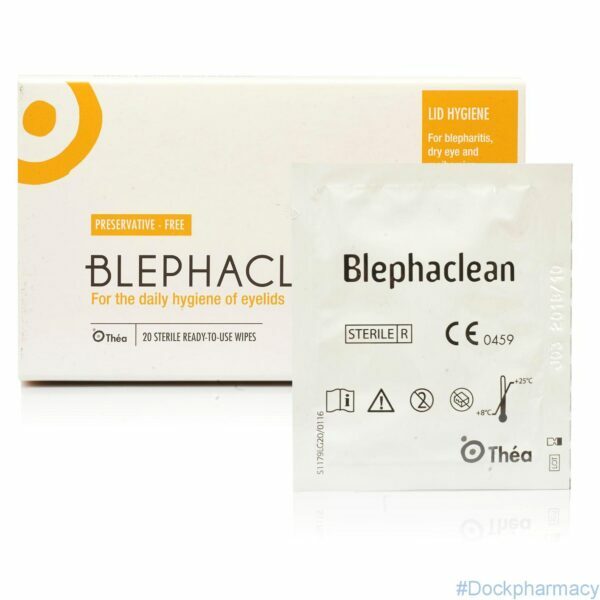 Blephaclean hygiene eyelid wipes are free from detergents and preservative, Blephaclean gently cleanses without irritating the eyes or damaging the outer layers of the skin. By virtue of its sophisticated formulation, Blephaclean wipes do not only cleanses the skin but also moisturises the outer layers. Sensitive skin around the eyes are soothed and regenerated by hyaluronic acid (a natural skin moisturising agent), capryloyl glycine, Iris Florentina and Centella Asiatica. Fragrance-free, preservative-free and non-greasy, Blephaclean does not need to be rinsed after use and can be recommended to contact lens wearers. High tolerance micelle solution in 20 ready to use sterile pads. Iris Florentina and Centella Asiatica content, which helps to stimulate synthesis of collagen and has an anti-inflammatory action. Ready to use sterile wipes. Always use Blephaclean eyelid wipes as directed, usually once or twice a day. Simply remove the wipe from sachet and gently wipe along the lower inner eyelid, the upper and lower eyelids and lash area. Where necessary, remove any accumulated oily debris and crusted matter from the eyelid and lash area. You don’t need to rinse afterwards. Repeat the process for the other eye using a new wipe. 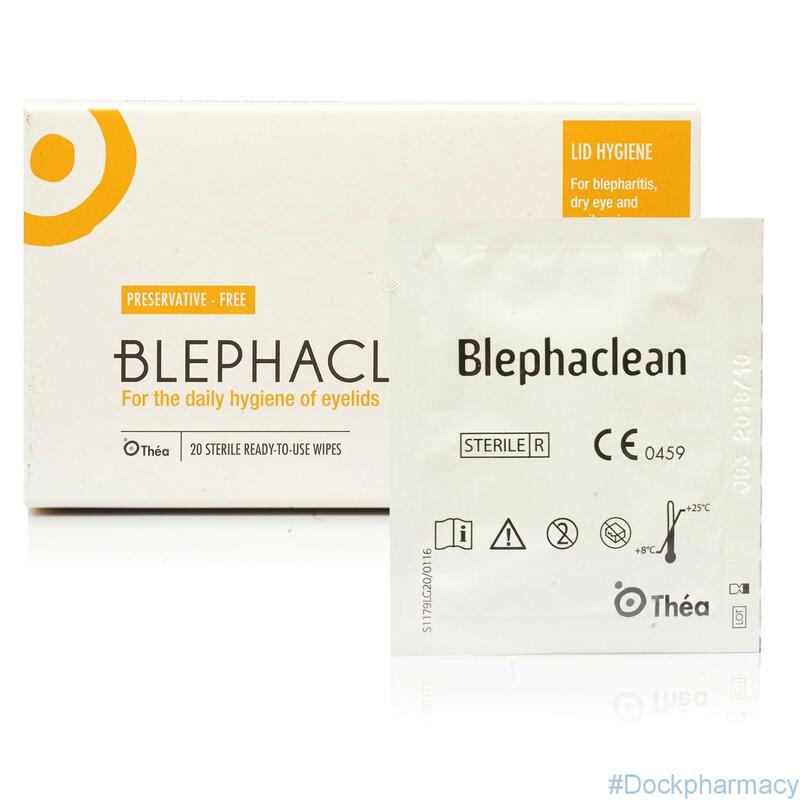 Blephaclean Eyelid Wipes are formulated without the use of preservatives or perfumes so sensitivity to Bleplaclean is not likely. Antihistamine Works By Preventing The Actions Of Histamine, Histamine Causes A Chain Reaction That Results In Allergic Symptoms. In The Eyes It Causes Symptoms Such As Redness, Swelling, Itching And Watery Eyes. Xylometazoline Works By Restricting Blood Flow To The Eyes And Helps Prevent Histamine From Entering The Eye Membrane. It Also Constricts Blood Vessels That Are Dilated As A Result Of The Allergic Reaction And So Helps Reduce Redness And Puffiness Of The Eyes. Geltears eye gel (carbomer), which is a type of medicine known as an eye lubricant. It is used for the treatment of the symptoms of dry eye (such as soreness, burning, irritation or dryness) caused by your eye not producing enough tears to keep the eye wet. Carbomer produces a transparent, lubricating and moistening film on the surface of the eye and is used as artificial tears & clings to the surface of the eye and is therefore not washed out of the eye as quickly as some other lubricating eye drops. 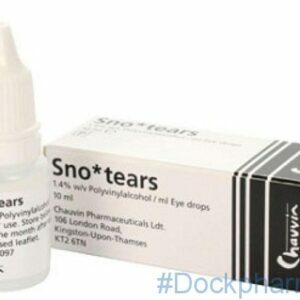 Geltears eye gel can be used as a substitute for natural tears for people who suffer from dry eyes because they do not produce enough of their own tears, or for people who suffer from sore eyes because their tear film is unstable.